By Car: 2 minute drive from Henly’s Corner junction of A406 (North Circular Road) and A1. For your convenience, parking facilities are available on our forecourt in front of the building. There is also on-street parking on Finchley Road and the surrounding areas throughout the day (subject to availability). However, you can park on the same side as the centre on the single yellow line until 4pm. Across from the centre you can park inbetween the two yellow signs after 10am. *Please note information regarding on street parking is just a guideline and we recommend you check all signs before leaving your car. 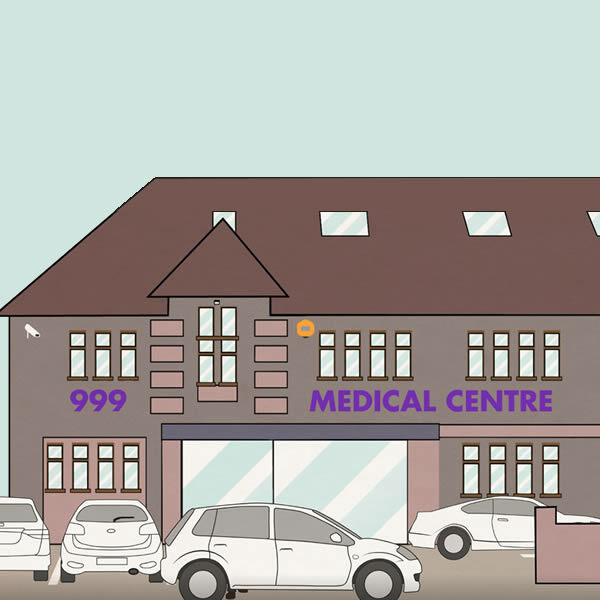 The 999 Medical & Diagnostic Centre will not be held responsible for any unauthorised or incorrect parking.